Signs are everywhere – from billboards to bus stops, to busy shopping centers where signs crowd against each other. Bearing this fact in mind, you may find it difficult to get your business sign to stand out and grab your customers’ attention. Signage is crucial for increasing sales, so how do you ensure your sign stands out among the multitude of others to create an impact? Here’s a fact: brighter things stand out. In a sea of sameness, having a backlit sign that’s different from the rest of your competitors will cut through uniformity, grabbing the attention that your business needs. This is similar to how people at sea are drawn to a lighthouse – light breaks through to signal importance, capturing and holding attention to ensure a message is properly delivered. In today’s highly stimulating world, prominent visibility is crucial for a business to break through public consciousness, achievable by standing apart from the crowd with a big, bright sign. Imagine an old, rickety, worn-out sign that’s clearly well past its prime, and then imagine a new, clean, modern sign. One of them is going to make a better impression than the other. Some people even go so far as saying that the quality of a sign reflects the quality of the business’s goods and services. Having a modern, illuminated sign improves the customer perception of quality, giving the impression that your business is successful. Your sign’s appearance will improve brand perception and awareness, making your business look more impressive overall. Besides the aesthetic that illuminated signs offer, LED lights are also a practical way of illuminating your sign. Neon signs can often become faulty (no one is going to be impressed by a sign that’s missing a letter or two), and fluorescent lights will often flicker, so LED signs are clearly the superior lighting solution. LEDs can last up to 20,000+ hours, which is almost a five-year improvement compared to its competitors. Not only that, they stay consistently bright throughout their lifetime. All these benefits of LED signs over the alternatives can make it sound intimidating, but they’re actually cheaper to run as they consume less energy. Typical LED signs will use only around 10 watts of power – that’s 80 per cent less energy compared to common neon systems. This means less lighting costs that dig into your revenue wrapped in an energy-saving, eco-friendly package. LED lights do not contain any gasses or glass tubes, are easy to clean, and never burn out. It’s a much more rugged lighting choice that’s easier to use and maintain in comparison to hot neon signs and glass or fragile tubes. They’re also great for outdoor applications as they require less protection from the elements. Our expert team specialises in manufacturing and installing signage all over New Zealand, including backlit signage. 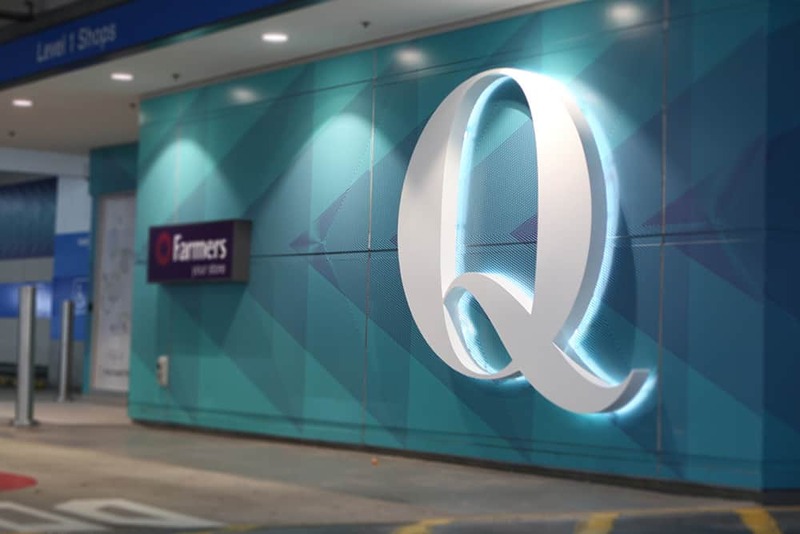 Check out the amazing work that our award-winning signage experts have done in our gallery, or simply contact us today to see how we can best help your business grow.